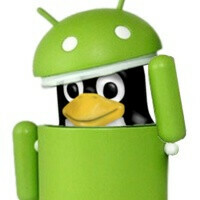 After years of being parallel, but not one, Android code is now getting into the latest Linux 3.3 kernel finally bringing clarity about how the open-source Android project should be handled and giving developers an easier path to create cross-platform applications. The kernels of Android and Linux have always been similar, but with this programmers will be able to run apps on the stock Linux kernel. “For a long time, code from the Android project has not been merged back to the Linux repositories due to disagreement between developers from both projects. Fortunately, after several years the differences are being ironed out. Various Android subsystems and features have already been merged, and more will follow in the future. This will make things easier for everybody, including the Android mod community, or Linux distros that want to support Android programs,” the release notes say. The decision for unification comes in an effort to avoid fragmentation and further division in Android. This is up to developers, though. This also opens up the possibility of a wider programmers’ support and eventually cheaper Android devices. Other improvements in the 3.3 Linux kernel include improvements to memory management, file systems, networking and security. Isn't it that both of them have the same roots going back to the Unix OS?